John was saved and baptized in 1962 at the age of seven, married Sharon Gay Liles in 1974 and answered the call to ministry in 1979, being ordained by Southside Baptist Church in Star City, AR. After pastoring two churches in Arkansas and receiving a BA Degree from the University of Arkansas and MTh from the Missionary Baptist Seminary in Little Rock, John and Sharon and their children moved to Texas in 1983. At that time John began serving as Assistant to the Editor in Chief of the American Baptist Association and also began pastoring Faith MBC of New Boston, TX. In 1993 the Sanders began a ten year ministry as foreign missionaries to Romania sent out by First Landmark Baptist Church of Sheridan, AR. They then moved to Loveland, CO, as interstate missionaries and led in the organization of Loveland Baptist Church. In August 2015 the Sanders joined the mission ministry of International Christian Publishers, helping to provide Christian literature in the languages of people around the world. 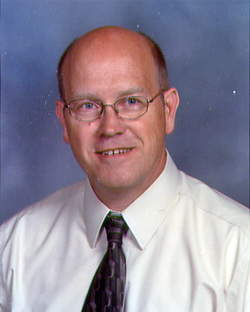 John has been a part of Missionary Training Ministry since its conception.